The Spiggie Hotel has now been renamed the Spiggie Guest House. 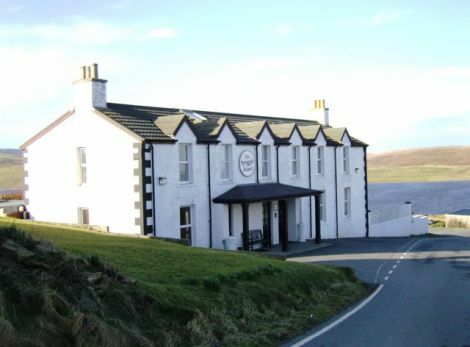 A REVIEW into the Spiggie Hotel’s licence to sell alcohol is set to be carried out over a lack of clarity on who its premises manager is and an outstanding licence fee payment. Members of the Shetland licensing board heard on Wednesday morning that licence holder Enjoy the Fruit Limited had declined to pay the final instalment of £70 for Spiggie’s 2017/18 licence fee despite being given reminders. This was despite the company paying the annual fee of £270 for 2018/19 in October this year. The board also heard that there was a lack of clarification as to whether previous Spiggie owner Keith Massey was still the premises manager, but “there does seem to be evidence to suggest that there is a breach of the licensing conditions” in that respect. Each licensed premises needs to have a premises manager in place to be able to sell alcohol. Enjoy the Fruit Limited has been the premises licence holder since 30 November 2017 after Massey sold the hotel five days prior. The licensing board agreed that a company representative should be invited to attend the next licensing board meeting in December and that further efforts should be made to discuss the matter with the licence holder in the meantime. Vice-chairman George Smith said it was “bizarre” that a portion of the 2017/18 fee had not been paid when the full 2018/19 bill had been dealt with, adding that the confusion over the premises manager was the more pressing matter. The new owner of the now renamed Spiggie Guest House Christopher Lee said on Wednesday afternoon that he suspected the confusion over the premises manager was perhaps nothing more than “than just a typo” and added that he would get it sorted.